As you know, back to school season can be crazy! There is so much to do and very little time to do it. In my school district, we report back to our schools a week before the students show up. That week is filled with district meetings, school meetings, team meetings, and even some parent meetings. AND don't forget the year long curriculum map, weekly lesson plans, Meet the Teacher night, and a host of other things a teacher has to get ready for the new school year. Did you notice that I didn't mention getting your classroom in order? Where I work, we have to pack up all of our classroom materials for the summer. This includes taking down bulletin boards and emptying bookshelves. When I show up back to school in August it is like a fresh start, a blank slate. Because there is so much to do, I love knowing that I have a few things that I don't have to worry about as I plan for that BIG first day of school. I'd like to share them with you. I have used my first day packet for a few years now. There is so much that I love about it! 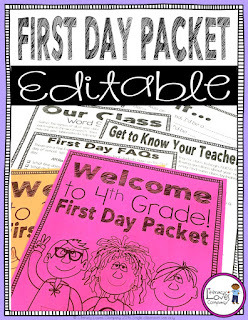 I love that it is a first day packet, but it lasts the whole first week! My students keep it in their cubbies and when there is some free time, they beg to work on parts of it. The packet includes an FAQ section which covers questions students might have about me, our routines, and expectations. There are also sections to help them get to know me and some fun pages for writing about themselves, drawing, and a classmate name word search. On the first day of school the packets are on student tables so the kids have something to work on while I am greeting parents and other students, helping put materials away, taking attendance, and all those other million things we do on in the first hour on the first day! 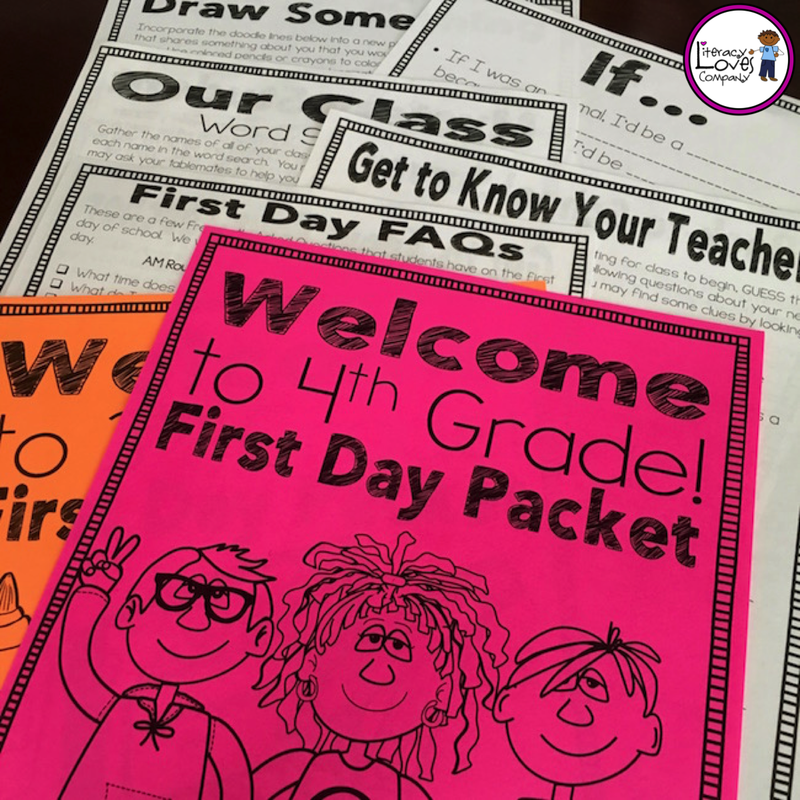 A first day packet isn't hard to put together, but if you want to save yourself a bit more time, I have mine in an editable version available in my Teachers Pay Teachers store. 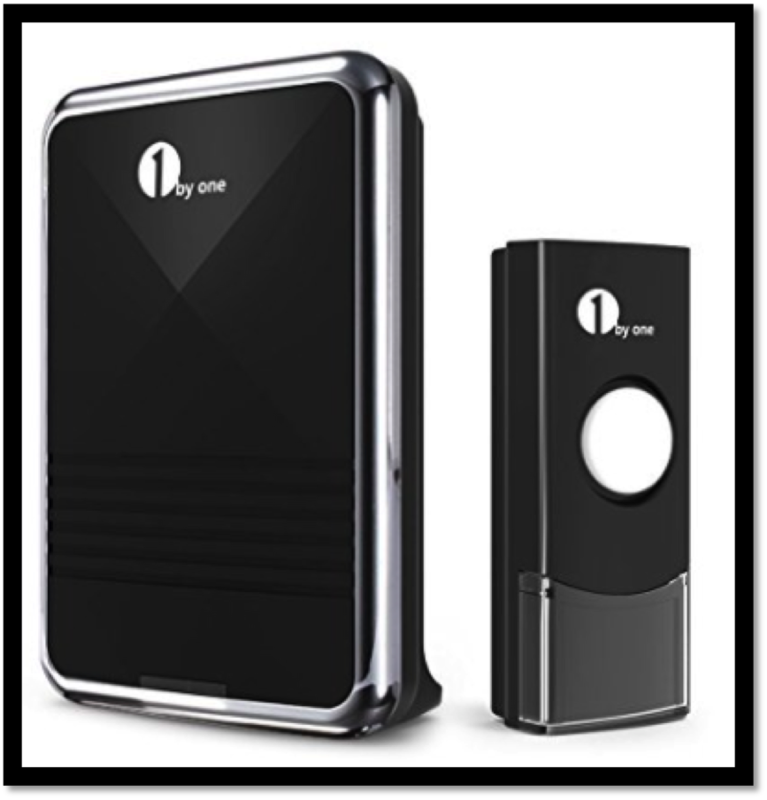 Click the product cover below to open the product description. One of the most important classroom management tools a teacher can have is his/her signal that attention is needed. I have a bunch of attention getters in my class. 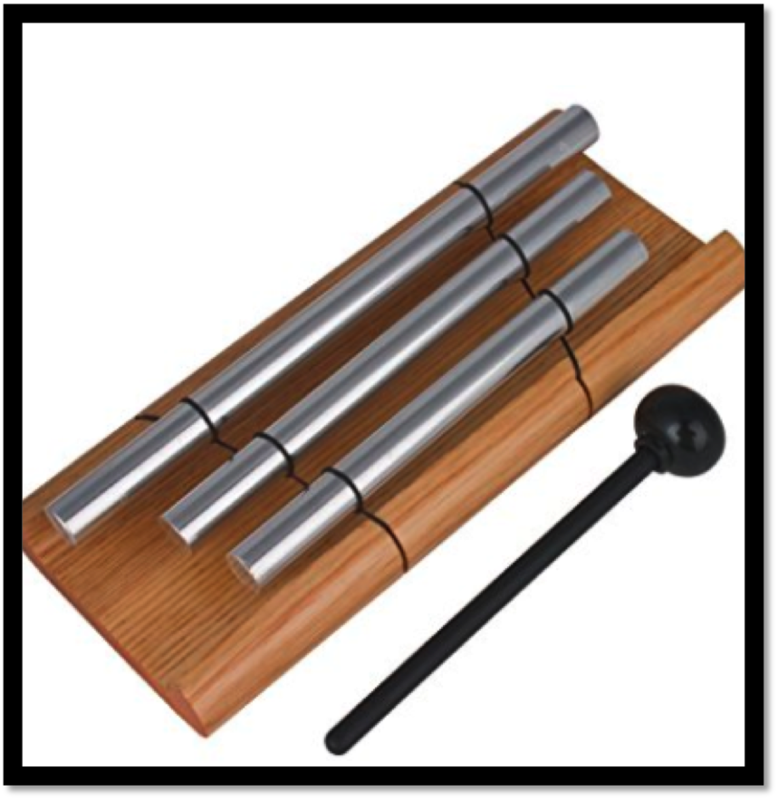 I have a chime that I love to use. It sits on the corner of my desk. I have a cow bell that we use to signal students to get their mail out of their mailboxes. One of the things I don't like about these two signals is that I have to move toward them to ring them. Last summer, while reading blogs, Instagram, and Facebook, I came across a post about using doorbells in the classroom. WHAT? GENIUS? I wish I knew who to thank for that piece of miraculous advice, but I don't. What is so clever about using a doorbell in the classroom is that they come in two parts. One is the actual doorbell button that you push and the other is the chime which you can place on a bookshelf or cabinet. The button is small enough to fit in your pocket so that you can ring it wherever you are in the classroom. The one I got had several possible chime settings. I chose one that sounded like a coo-coo click. I taught the students that whenever they heard that sound, they were to stop talking and raise their hands. Not everyone would hear the sound, buy they would notice the room quieting and the hands raised and would follow suit. Genius, I tell you! Pure genius!!!! There are many positive behavior reinforcers out there. 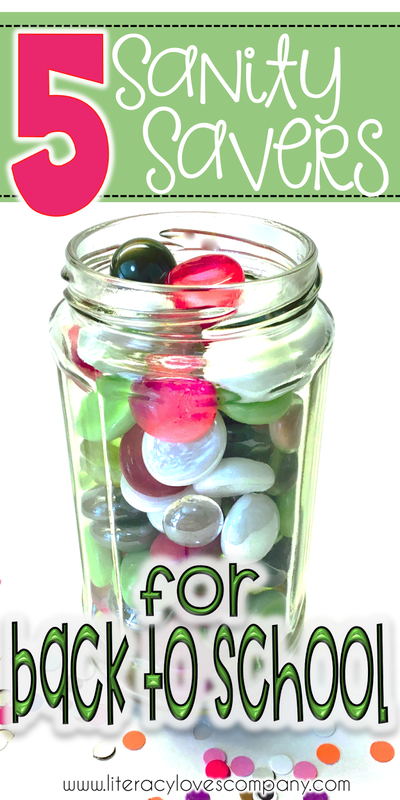 For the first week or two of school, I just use marbles and a jar... AKA... The Marble Jar! Very low prep! 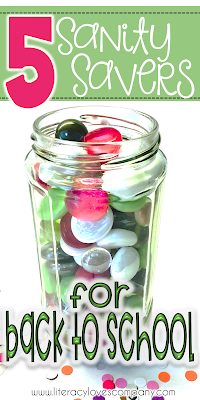 The class as a whole can earn marbles for good transitions, working quietly, etc. 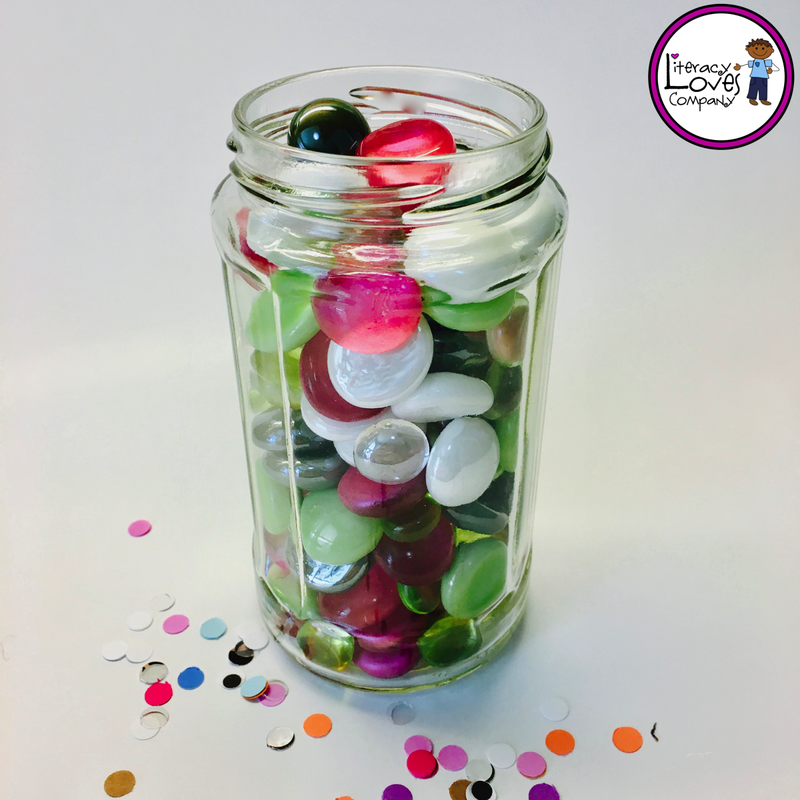 Individuals can earn marbles for following directions, getting out materials, walking quietly in the hall... you get the point! The key here is that it is easy for me to implement. It is visual and tangible for the students. And most of all, the students are working together toward a common goal from day ONE. I don't use the marble jar all year long. The past 5 or so years, the class would fill up the marble jar so that they could start earning Danley Dollars which was our class monetary system. I'm moving to a new grade level, a 5/6 split, and am working on a new positive behavior system that I am very excited about! I'll make sure to share it here on the blog when I have it presentable. Classrooms are digital these days. Whether you are a one device classroom or you are a one-to-one classroom, you have to deal with students' logins and passwords. Last year, I put together password rings for my students. Believe it or not, ALL 32 of my students still have their rings by the end of the year. THIS definitely saved my sanity! We kept the rings in a basket and students got them out when they needed them or we took the whole basket with us to the computer lab. 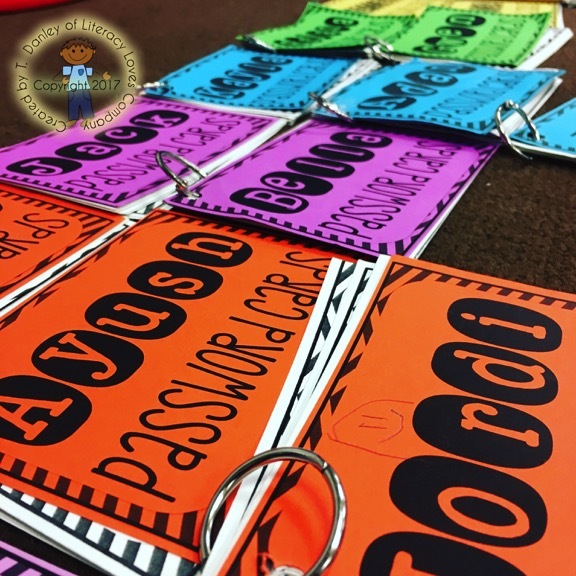 They were brightly colored and have student names on them, so if they did get misplaced, it was easy enough to find them or get them returned to us. I've included a link to my FREE editable template for the password cards on Teachers Pay Teachers. Just click on the product image at the bottom of the post to open it up in a new window. 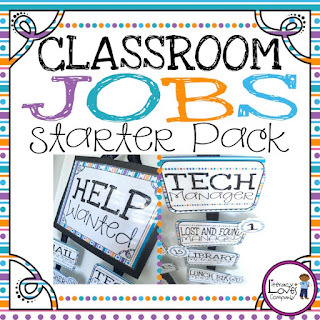 The last sanity saver I'd like to share is how I manage classroom jobs in my class. All of my students have a small job that they are responsible for each day. I have a Teacher's Assistant, Light Manager, Chair Stackers, Librarians, Board Cleaners, and the list goes on... 32 students = 32 jobs. Because it could be overwhelming to make sure everyone is doing their jobs, I also have two job managers. It is their responsibility to check off which students do their job each day. I tie this into our classroom economy and students get "paid" each month for doing their classroom jobs. This might sound like a headache to organized, but it really isn't. 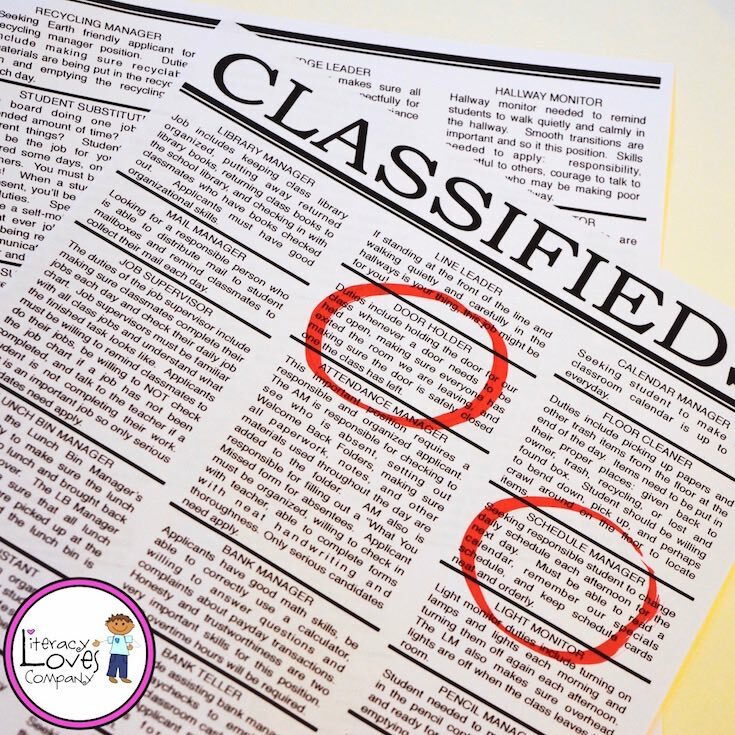 You can read about it more fully in the blog post "Your Hired: Building Community with Classroom Jobs"
Having all students help out in the classroom is a big sanity saver! At the end of the day, if everyone is doing their job, I don't have to worry about cleaning up after my students. This saves time for me to grade papers, plan lessons, and clean up my own corner of the room. If you are interested in starting classroom jobs with your own students, I've created a resource that includes the editable classified ads, job application, job board, check-off sheets and much more. You can take a look at it by clicking on the product image below. There you go. 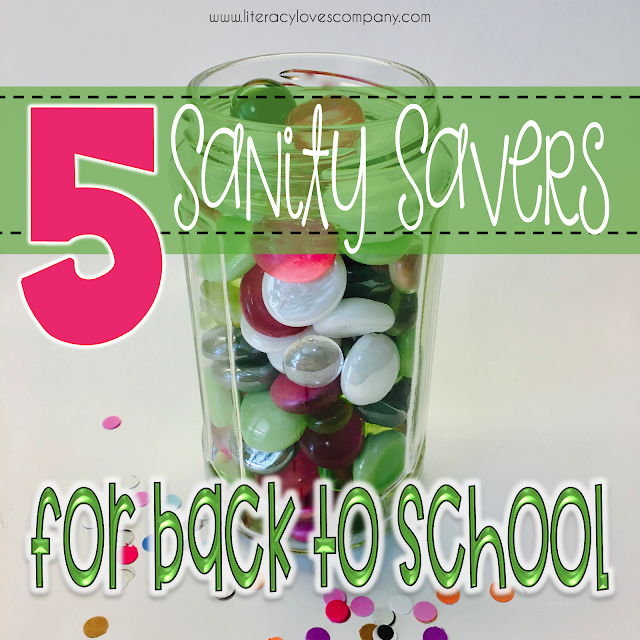 My five Sanity Savers for back to school. I hope that you leave with at least a couple of ideas to help your preparations for the new school year go a little bit smoother. 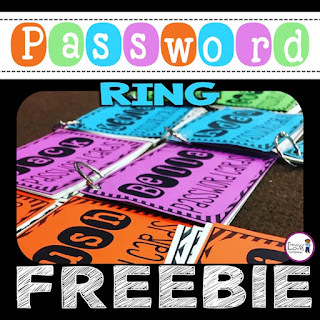 Don't forget to grab the Password Ring FREEBIE by clicking the link below. Thank you in advance for sharing this blog post with others by pinning the image below! I have a love/hate relationship with flexible seating. I love the idea of it. I love the way it looks in my classroom. I love the "flexibility" it gives my teaching and my students. I love all the wonderful things about it when it is working well. But over the last year and a half that I have been doing flexible seating in the classroom, I've also found some things I don't love about it and it doesn't always meet the expectations I have for how it should work. 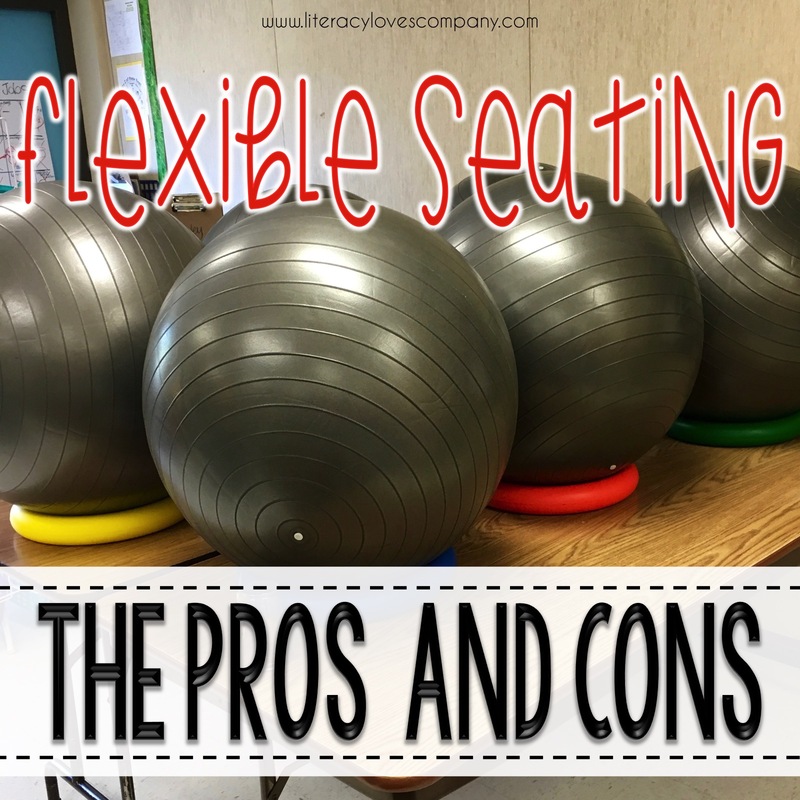 This summer I find myself doing a lot of thinking about the pros and cons of flexible seating. I'm moving into a new classroom and grade level this upcoming school year and I'm trying to decide my future with flexible seating. Do we stick together or do we break up? When I started flexible seating in my classroom, it was March. My students were about to head off for spring break in a week and I asked them if they wanted to do an experiment. Of course, they were gung-ho: How exciting! We get to choose our own seats? We can sit on the floor? I can stand up if I want? I can switch seats every day if I? We can sit next to our friends? Yes! Yes! Yes! Yes! So we went to work, moving tables, taking off legs, raising tables, and stacking chairs in the corner. Each day, students picked their seats for the next day and it worked like a dream. The students took it seriously. We talked about how it was going each week during our morning meeting. After spring break, my principal gave me funds to buy some stools, yoga balls, and pillows. Other teachers in my school noticed and were curious. Some took the leap in their own classrooms. 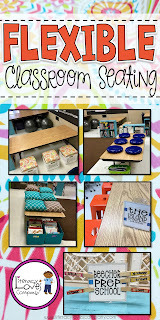 Click to read about how I set up my room for flexible seating. This last school year, I started out the year with flexible seating already in place. A new group of students, the same routines and expectations... with a different result. I'm not sure why it didn't go as well as the first year. It could have been the fact that the first group of students had a part in the transition. They were part of the plan, the implementation, and the ongoing monitoring. For the second group of students, it was handed to them. There was no investment in it. I'm not sure. What I do know is that with both class, there were pros and cons. Students love choice! How often do students get to have a choice in where they sit in the classroom? Not often. Giving students that freedom, with guidelines, is powerful. Many students really get to know what seating choices help them be more focused and productive. Everyone's idea of comfort is different. I am a floor-sitter. I prefer to sit on the floor or on a short stool. I'm short. This may have something to do with it. Some students aren't comfortable on the floor, or in a traditional chair. 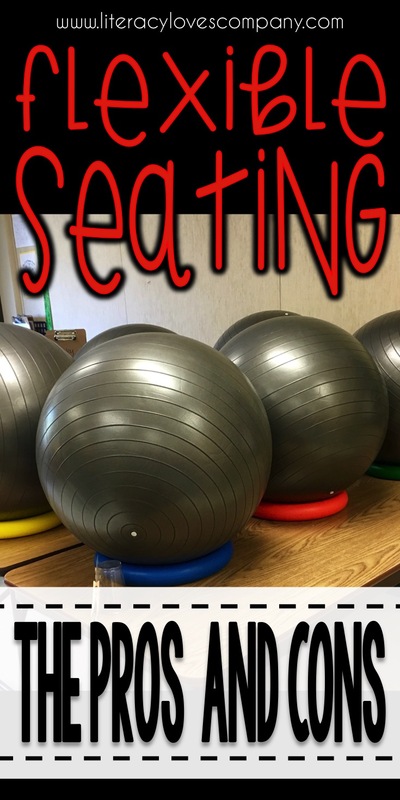 The seating options can help students who struggle to sit still. I have a lot of "verbs" in my class. Kids who can't sit still. Kids who jiggle their feet, wiggle their hips, or tap their fingers. They're constantly moving. Some flexible seating options can really benefit these students. 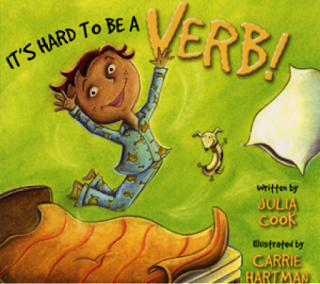 I read this book to my class every year. It builds independence. Students start learning how to make decisions about their own learning. They have to determine which space works best for them, which space is distracting or uncomfortable, which space helps them focus and be the most productive. This self-awareness will be important throughout their academic lives. Where's the teacher? One of the things I love about flexible seating is that it gets me away from the front of the room. The students are never sure where I may present a lesson from. Space. When you have a large class size (think 32 or more students), flexible seating can be a challenge. You really want to have enough seating options and spaces that students can really make a good choice of where to sit. When you have 32 students and only 32 seats, some students are going to get whatever is left, which isn't always the best choice for them. Less broad friendships. One of the things I noticed about this year's class is that the same students would sit at the same tables every time. It wasn't about the seating choices, it was about their friends. Because they had the free choice, they chose to sit together each day, everyday and other students were left out. 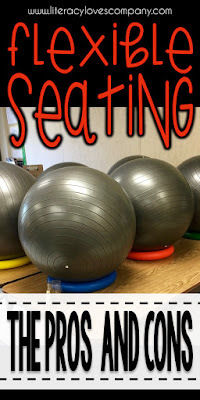 My first year of flexible seating this wasn't a problem because the first part of the year, we had traditional assigned seats and students were grouped a lot of different ways. They got to know each other and appreciate each other for their uniqueness. With this new group, it didn't matter how many times we talked about the reason for flexible seating, the importance of choosing a spot that helped you be a productive learner, the need for being inclusive and open to new friendships. It. Didn't. Matter. They still always chose to sit with their friends. Backpacks, backpacks everywhere. Because my class does not have lockers or backpack hooks, my students have no place to put their backpacks. I provided large rubbermaid tubs to house them throughout the day, but inevitably they, along with jackets, would end up on the floor getting trampled on by dozens of feet. About halfway way through the school year, we partially stopped flexible seating. The different types of seats were still in the classroom, but I assigned table groups. The floor table and standing table were taken out, the kids didn't like them, and more traditional chairs were brought back into the classroom. I was frustrated and sad. I felt like I had failed at flexible seating! How could it go so great one year and bomb the next? I'm trying to be reflective now and decide how I am going to handle seating as I start setting up my new classroom in August. I don't want to give up on flexible seating. It fits with who I am and my way of teaching... plus, I have a bunch of yoga balls and crate stools that I don't want to get rid of. Want to make your own crate seats? 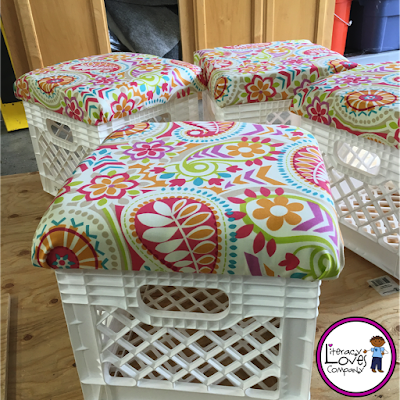 Click on the photo to go to my Classroom DIY - Crate Seat post! Don't start the year off with flexible seating. Let students earn it. Let students be a part of the process. Let students share their ideas for flexible seating. Involve them in the transformation. Clearly articulate the reasons for and benefits of flexible seating with your students. Set clear guidelines and expectations. Regularly monitor how flexible seating is going in the classroom. Encourage discourse on the pros and cons students are seeing and be honest about what I am noticing as the teacher. Have a clear plan for organization. Where will supplies go? Where will jackets go in the winter? Where will backpacks be stored? Don't be afraid to adjust your plan. If it isn't working change it. That's it. That's all I have. I'm not throwing in the towel. I'm tenacious if nothing else, and I feel like this relationship is worth fighting for. I'll let you know how it goes. I know my experience with flexible seating is not the same as everyone else's. I'm sure there are some people who start it and it is works out perfectly for them. I also know that there are some people who give it a try and regret it. If you are in either of those two camps or somewhere in between, I'd love to know what worked for you and what didn't. Please share your thoughts, ideas, and advice in the comments!